This episode of our Best Bars series, a collaboration piece with Kevin Gray of Cocktail Enthusiast, takes us to good ol’ Dallas, Texas—a city known for its legendary football team, championship basketball team (including its outspoken owner), delicious Texas barbecue, refreshing regional beers, and now, amazing craft cocktails. 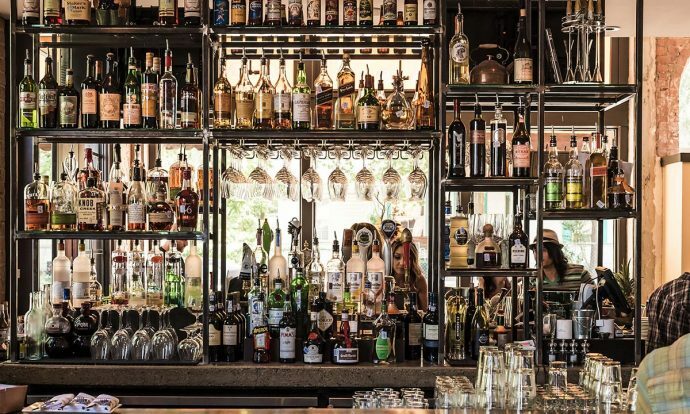 From clandestine, speakeasy-inspired bars to an ever-popular array of excellent restaurant bars, it’s no secret that people like to drink in the Big D, and it’s easier than ever to get a quality cocktail almost anywhere in Dallas. As always, this list is not meant to be a ranking or an exhaustive compilation of the best cocktail programs or drink menus in the city—instead, this is simply a list of Bevvy and Cocktail Enthusiast’s favorite watering holes in Dallas. Our standard rule applies: all picks had to be legal, public-access venues, which meant no private clubs or lounges were included. So, without further ado, here are our picks for the best bars in Dallas. 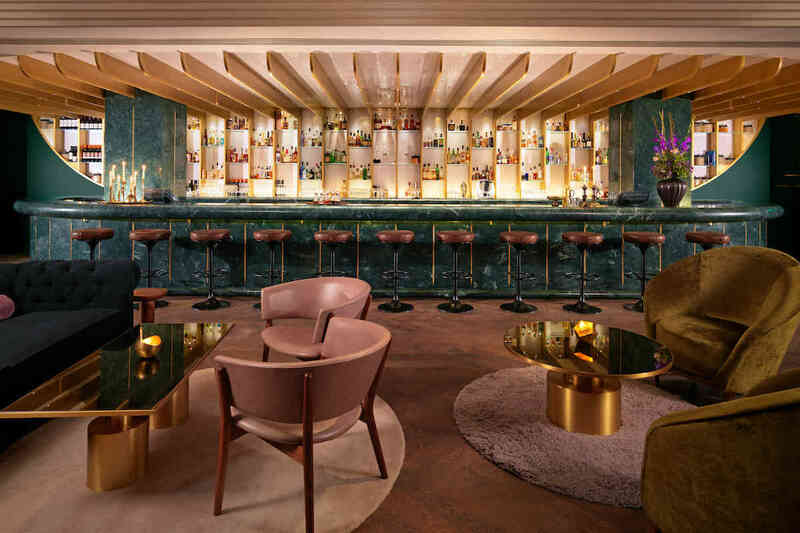 Located in the Joule Hotel, Midnight Rambler is a swanky underground cocktail lounge created by Chad Solomon (Milk & Honey, Pegu Club) and Christy Pope (Milk & Honey). The sophisticated yet approachable drinks menu includes timeless classics, exotic infusions, signature punches and more. A limited assortment of small plates are available from the bar directly, or larger fares can be ordered for hungry tipplers from CBD Provisions upstairs. Oh, and for you intrepid gastronomes out there, check out their lab in the back with high-tech culinary gizmos like an immersion circulator, centrifuge, and dehydrator. Started by local favorite Eddie “Lucky” Campbell, this dimly-lit cocktail haven with a French bordello vibe boasts a huge cocktail menu with over 100 mixed drinks. 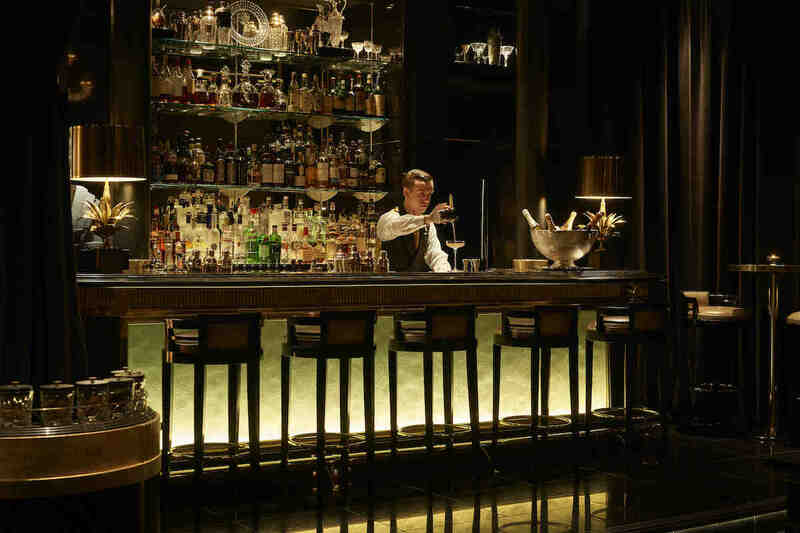 If you find the vast array of choices overwhelming or too esoteric, we suggest sticking with the classics, or ask a bartender for recommendations—they have some of the best in town. Parliament does not serve food, but hungry patrons are welcome to order from State & Allen next door. Opens nightly except Sundays. This upscale gastropub is known for serving some of the best small plates and signature cocktails in Dallas. Drinks are meticulously-made and well-balanced, and pair well with many of their popular dishes—one such favorite is the bone marrow plate with the Passionfruit Gimlet. Perfect for groups, Victor Tango’s is a popular spot with a fun and friendly vibe that often draws a crowd. Parties of 8 or more should consider making a reservation on weekend evenings to avoid a long wait. And, fair warning, it’s closed on Sundays. This unassuming watering hole is a neighborhood favorite, featuring inventive cocktails, house-infused vodka concoctions, and occasional live music. 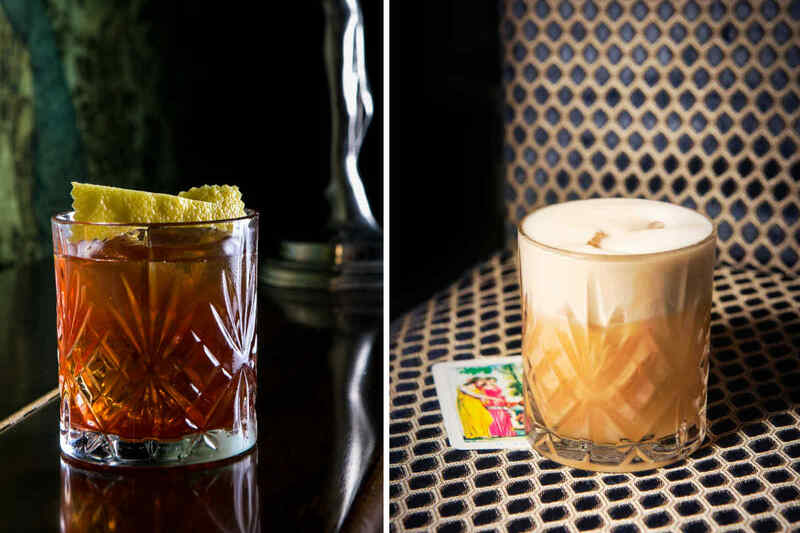 Owner Gabe Sanchez draws from his influences in craft cocktails and his past experiences managing bars and clubs to create a relaxed, welcoming Dallas cocktail establishment with the charm of a speakeasy and none of the pretentiousness. Our favorite thing about Black Swan Saloon? Clint Eastwood watching over us as we sip on Rittenhouse Rye Old-Fashioneds. Bolsa is all about fresh, local ingredients. This hip, farm-to-table establishment features a constantly rotating menu based on seasonal produce, with talented bartenders creating signature and off-menu cocktails. If you’re hungry as well as thirsty, give their well-regarded flatbreads a try. Henry’s Majestic is an industrially-charming, rustic-chic gastropub located off the beaten path near Knox Henderson and Highland Park. With two separate bars and a massive enclosed patio, it’s known for serving “strong drinks with good food,” and is a popular brunch spot. Take a stroll to the back alley, and you can enter Henry’s sister bar, Atwater Alley, for another fine cocktailing experience. Upscale downtown brasserie serving creative Texan comfort food and cocktails. The chicken liver mousse is excellent, and if you have a few pork lovers in your party, you’ve got to try the Berkshire Pig Head Carnitas (call ahead to check availability). After dinner, stalwart imbibers may head downstairs to the Midnight Rambler for additional drinks. This French-inspired neighborhood bistro serves up classy cocktails, a vast spirits selection, and a huge selection of over 150 bottles of wine. Half-price cocktails and discounted oysters on Wednesday nights can draw quite the crowd, so make a reservation to avoid the wait, and don’t forget to try the classic Boulevardier the restaurant is named after, as it’s one of the best in town. Closed on Mondays. This popular bar and bistro is located above a nail salon, and serves handcrafted cocktails nightly with a casual flair. People’s happy hours make excellent cocktails affordable for anyone, and the adventurous can further learn the art of slinging drinks from the group cocktail classes. With roots as a cocktail den, drinks come first at The Standard Pour (aka TSP) in Uptown. The drink menu includes a variety of modern and classic cocktails with an impressive selection of spirits. Enjoy $5 cocktails and food specials weeknights during Happy Hour, or a free three-course meal for ladies only with a reservation on Wednesdays as part of their Dame’s Dinner Club. This contemporary oasis sits on the edge of Downtown, and features signature cocktails, an extensive beer selection, globally-inspired dishes, and incredible chalk murals by local artists. Floor-to-ceiling windows keep Lark on the Park’s interior bright and airy, and a spacious patio overlooks Klyde Warren Park for those wishing to sit outside. Located in the popular Arts District, Proof + Pantry is an excellent spot for sipping on creative cocktails between bites of progressive, New American fare. Choose from a variety of no-proof, low-proof, and high-proof libations from their drink menu, or go off-menu for the more intrepid imbibers. Closed Mondays. Exposed brick and a giant drill press play to an industrial chic vibe at this popular Deep Ellum spot. Filament’s craft-beverage program keeps thirsty patrons satisfied as they munch on Southern cuisine from award-winning chef-owner Matt McCallister (FT33). Jettison is a small, cozy cocktail den attached to Houndstooth Coffee that specializes in mezcal, sherry, and coffee drinks. The handsome, retro-styled interior features a wooden bar and a few tables, and is the perfect spot for a quiet nightcap after eating at one of the nearby restaurants. Consult the menu for an array of sherry cocktails, including a great Sherry Cobbler, or try your luck with a caffeinated pick-me-up that combines cold brew coffee with smoky mezcal. A great cut and a great cocktail? That’s what you’ll get at this Roaring ’20s-inspired barbershop replete with vintage leather chairs, period decor, and a warm ambiance. After your grooming session, meander on back to High & Tight Barbershop’s “hidden” speakeasy-style bar, and immerse yourself in its nostalgic charm as you sip on Prohibition-era classics. From the crew behind Boulevardier comes Rapscallion, serving bistro cuisine with a Southern edge along with fantastic mixed drinks, including an impressive selection of tiki cocktails. If you’re hankering for a morning drink, their brunch selection will treat you right. Either way, you’re in for some good eating and drink, and if you get there early to snare a patio seat, you can relax while watching the hustle and bustle of Lower Greenville pass by. Closed on Mondays. This cocktail laboratory serves some of the most creative drinks in town, and employs science-y tools like centrifuges to clarify citrus, and roto vaporizers to extract intense flavors from ingredients. But far from a gimmick, these guys can also nail the classics, and serve a full menu of drinks that taste spot-on. Pair those drinks with some of the bar’s better-than-average food, and you can really make a night of it. Oak Cliff’s first brewery bar serving adventurous American fare with craft beers, classic cocktails, and a vast array of amari. A popular neighborhood spot, Small Brewpub has a laid-back hipster vibe, and is closed on both Sundays and Mondays to brew more beer. This upscale bar and restaurant from Tim Byres, a James Beard Award-winning chef and owner, is themed and aptly named for former US President Teddy Roosevelt. The only watering hole on our list that’s located in a mall (NorthPark Center), The Theodore serves up craft cocktails with a creative array of small plates and entrees. But don’t let the location sway you—gallop on over for some of the best drinks you’ll ever have in a shopping center. Arguably one of the best beer spots in town (if not the best), Meddlesome Moth offers over 140 types of beer, craft beer tastings, creative cocktails, gastropub fare, and some pretty serious stained glass windows.